Since first performing at Great Comp the Castalian Quartet have won important awards and are making their name in Europe and North America. 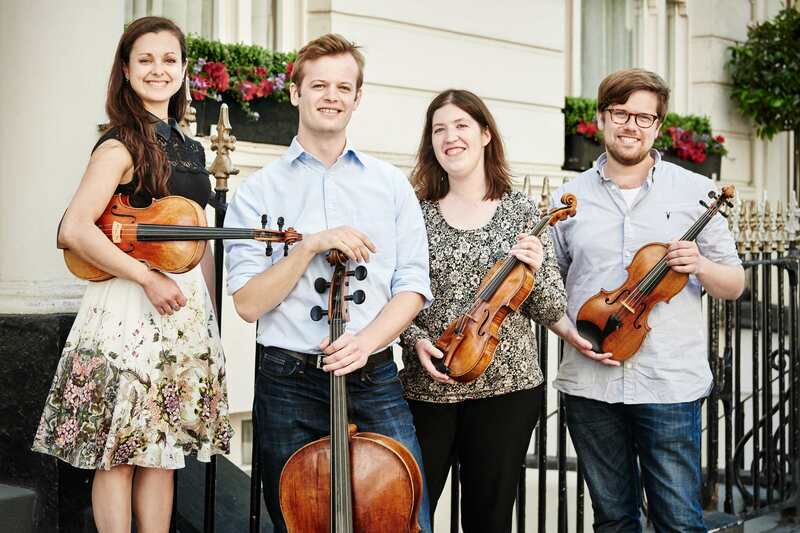 They have a particular understanding of Haydn and recently performed the complete Haydn Op.76 quartets at Wigmore Hall to great acclaim. One of these, the ‘Fifths’, begins their programme, which continues with Fanny Mendelssohn’s one composition for string quartet and concludes with the second of Beethoven’s three ‘Rasumovsky’ quartets.